The round table by Normann Copenhagen was designed by Hans Toft Hornemann and belongs to the Slice series, that consists of classic tables of different shapes and sizes. The solid oak and linoleum table is so simple in its simple and timeless in its design that it fits perfectly into any interior. The round Slice table consists of linoleum on chipboard with oak veneer edges and solid oak legs. The satin matte linoleum tabletop is available in different colours and adapts to any room furnishing. Thanks to its timeless design, Slice is excellent as a dining table in the kitchen or in the living room as well as an alternative to the desk in the office. In addition to the round Slice table in different diameters, rectangular tables in various lengths are also available as part of the Slice series. The round table by Normann Copenhagen was designed by Hans Toft Hornemann and belongs to the Slice series, that consists of classic tables of different shapes and sizes. 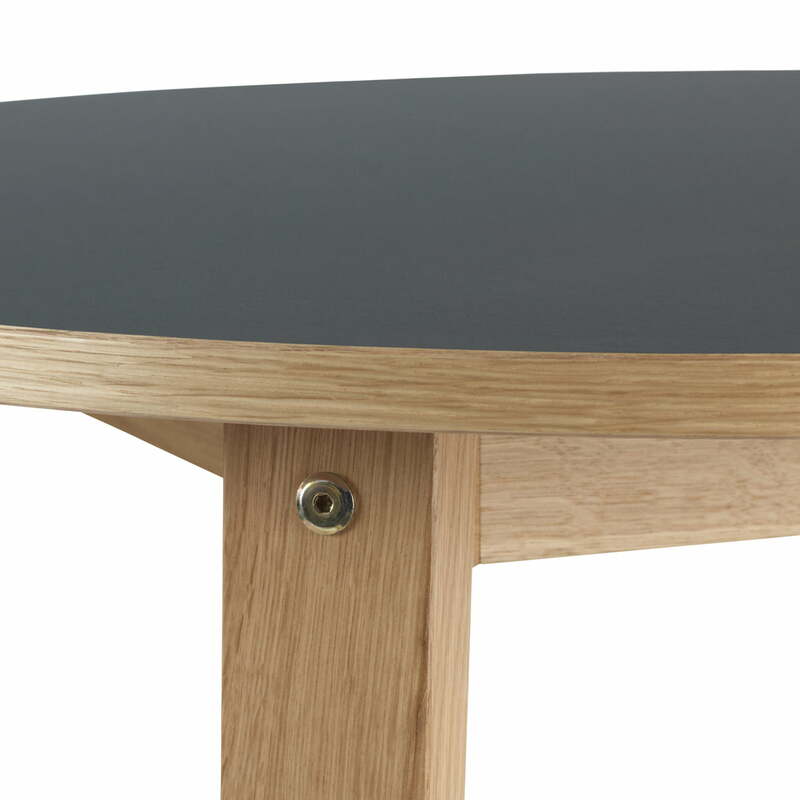 Isolated product image of the Slice table by Normann Copenhagen. 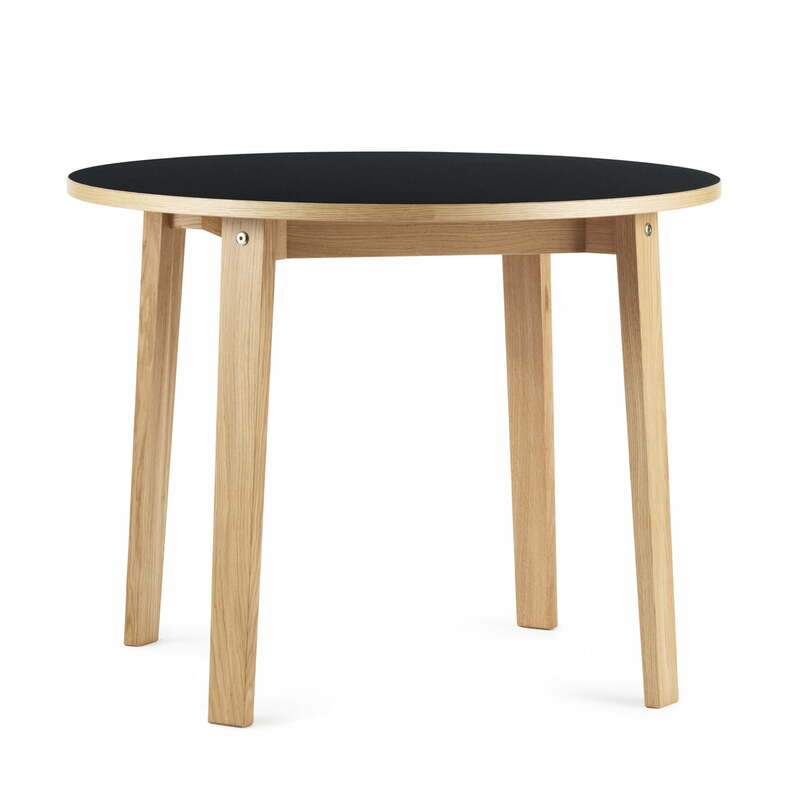 The round Slice table Ø 95 x 74 cm consists of linoleum on chipboard with oak veneer edges and solid oak legs. 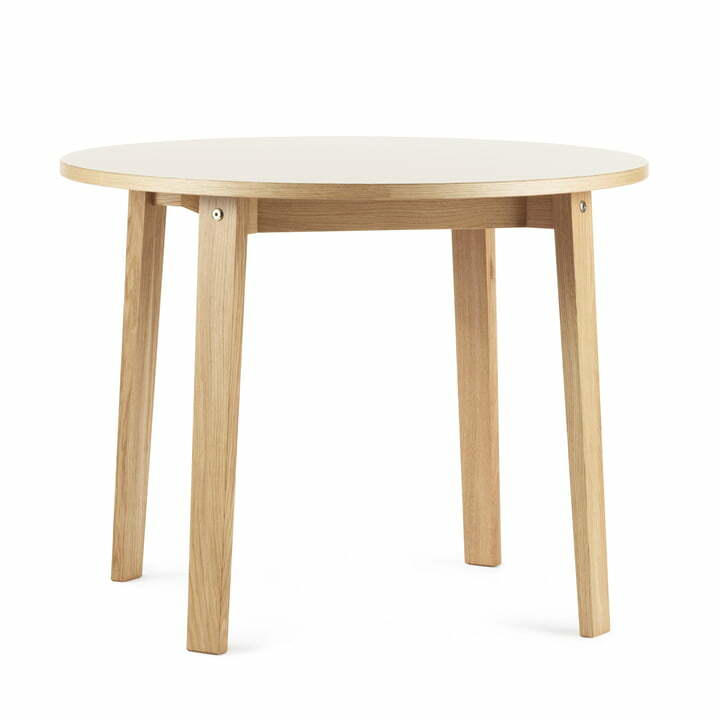 The Slice Table by Normann Copenhagen: The solid oak and linoleum table is so simple in its simple and timeless in its design that it fits perfectly into any interior.